They say following one’s passion is an unbelievable feat. 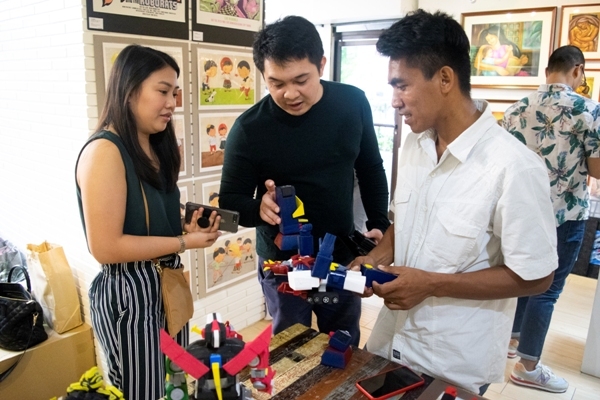 But not to the Flip Flop artist Elmer Padilla.Despite the struggles, he turned his passion and talent in crafts into a fulfilling career and brought pride to the country with his countless recognition from local and international media. From a family who could barely make ends meet, young Elmer never owned a toy like the one he used to see displayed in the mall. So at the age of 9, he started carving figures from discarded slippers and created his very first toy. 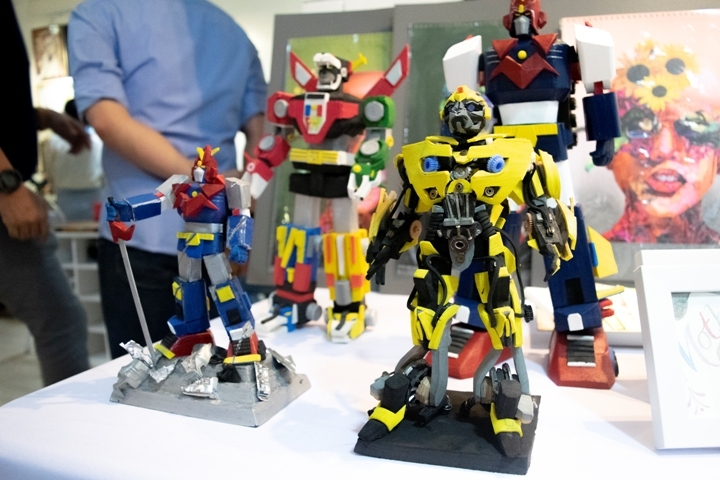 Since then, Elmer has pursued his passion for creating action figures and toys out of scrap materials. Sadly, as much as he likes to continue his passion, life was never easy for him. He tried to do different day jobs to survive. He worked as a pedicab driver in Catbalogan, Samar for a long time, before he decided to move to Imus, Cavite with his partner and three kids. He temporarily put his passion to a halt to earn a living. But his real passion never died. So with no proper job or any financial means to support his family, Elmer then decided to unearth his talent and turned it into a business. He went back to creating toys made from scrap and started selling them in one of the busy streets in Imus, Cavite. The business was somehow stable, but his life did not change until he captured the attention of a certain netizen, who posted a photo of him and his crafts in social media. The post immediately went viral and yielded a lot of admiration from the netizens. This was how Elmer started to gain recognition locally and internationally. Hollywood actors Mark Rufallo and Chris Hemsworth were very impressed when they saw his Hulk and Thor action figures. When asked about his inspiration, Elmer said that this is his way of helping the environment. He sees tons of rubber everywhere that he knows will only go to landfill. Through his own way of recycling, he can help reduce these ever growing pollution while enhancing his skills. To date, Elmer is receiving a lot of invitations to different conventions and exhibits to showcase his creations. One of which was the recent Kapamilya Art Fair in Prism Gallery. The Kapamilya Art Fair is an exhibit open to all fresh and rising painters. The fair is not only an opportunity for the new artists but also a venue to raise funds for ABS-CBN Lingkod Kapamilya (ALKFI). 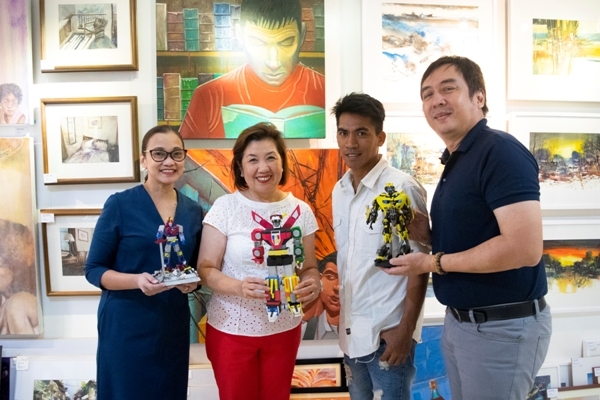 Twenty five percent (25%) of the proceeds of sold artworks was given to the Foundation to support its advocacies. Prism Gallery is known for giving opportunities to new artists who want to display their arts and crafts. To date, Prism Gallery is helping Elmer in his first ever exhibit.